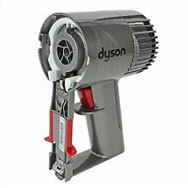 Buy Dyson DC34 parts and accessories from the 4YourDyson online; and never pay a penny more than you need to. With the Dyson DC34 handheld vacuum cleaner, you can enjoy more than 15 minutes of powerful, uninterrupted suction. You can also choose 6 minutes of stronger vacuuming with the boost function. Use the quick and simple Dyson Part Finder to track down the spare parts that are perfect for repairing your trusty Dyson DC34.